﻿ Why Are There So Many New Yoga Styles? I have to bet that this is close to the number one yoga question on most people's minds these days. The straight-forward answer is pretty simple ... a lack of understanding of yoga. Whoa, you say! "My inverted-heavy metal-yoga-for-naked-golfers teacher is a real master of yoga!" Ok, let's be serious for a moment. There are some extremely knowledgeable, highly experienced, exceptional yoga teachers out there ... and there's some poorly trained teachers with little to no experience out there ... and then there's a whole lot of teachers out there who fit somewhere in between. The great teachers have a good understanding of yoga because they have taken the time to properly study it and experience the truth of its teachings first hand (and there are fewer of them out there than you might think). The poorly trained teachers, for the most part, know that they have a lot to learn and are probably not likely to embarrass themselves by pretending to be something more than a beginner themselves. It's the whole wack of people out there teaching yoga, the ones that fall somewhere in between, who are the engine behind this modern 'new yoga' mania. 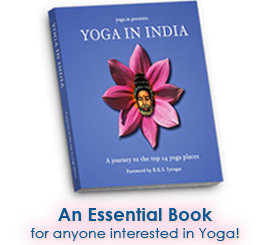 Yoga is, in case you didn't know, a science for personal transformation ... it is a system that has been tested and honed and perfected for hundreds of years by the great scientists of ancient India known as the Rishis, or yoga masters. Through their tireless experiments, they discovered just what this Universe of ours is all about, and perhaps more importantly, who we are as human beings and what our place within it really is. They discovered what it is that we need to be in order to find real, lasting peace and happiness ... and more so, they discovered what we need to do to get there. Their discoveries resulted in the system that we know today as yoga ... the most comprehensive and complete system for profound personal change. Yet how many people - how many yoga teachers have really taken the time and put forth the necessary effort in order to really understand what yoga is all about? Well, by the looks of things, NOT TOO MANY. Granted, changing ourselves is not always easy. In fact, it can be downright challenging, even at the best of times. Let's face it, we like our modern lifestyles, we savour what we eat, we're extremely attached to our friends and families, and our social and leisure activities form the foundation of our very identity. We really, deep down inside, don't want to have to change any these things ... even though, under closer scrutiny, our attachment to them is principle cause of all our troubles. Rather than using yoga, as it was intended, as a powerful way to change ourselves for the better ... many people prefer to change yoga. Hordes of marginally trained yoga teachers that have catapulted onto the yoga scene in a matter of no time, have done just that. The one thing that they have in common is ignorance. That ignorance has lead to the continual re-vamping, re-working, tweaking and reinventing of a science that was and is already perfect. This is something that they would know if they had taken the proper time to really understand it first, before changing it.